We design clean, responsive and friendly websites. We design and develop for small or big projects. Apps developers, the app developments process have four major parts: idea, layout and planning, design and going live. Increase visibility in Google search results in order to deliver high quality, targeted traffic to your website. Logos, business cards and corporate image. New brands or refresh old logo image we can do it up to excellence. 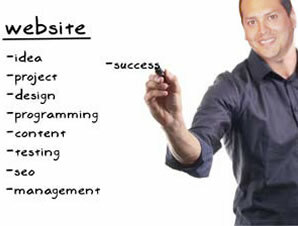 Building websites, e-commerce projects and web apps. We can get for you a high rank in the search engines. We promise you first class service and attention to detail. All our work is based in responsive Web Design, making your web page look good on all devices. (desktops, tablets, phones). All projects are different, we consult individually with each of our clients to determine, which technologies best suit their needs. GPR Studio © 2019 All rights reserved .